The draft Drivers’ Hours and Tachographs (Amendment etc.) 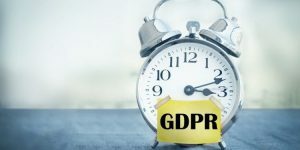 (EU Exit) Regulations 2019 (draft Regulations) together with an explanatory memorandum were published on 14 January 2019. The key provisions will come into force on exit day. For road transport operations undertaken exclusively within the UK after exit day, the rules currently set out in the EU Drivers’ Hours Regulation (561/2006) and the EU Tachograph Regulation (165/2014) (together the EU Regulations), relating to drivers’ hours and tachographs will continue to apply, as set out in retained domestic versions of those Regulations. For road transport operations between the UK and EU Member States, Switzerland, or non-EU EEA Member States, the rules contained in the European Agreement concerning the Work of Crews of Vehicles engaged in the International Road Transport of 1 July 1970, as amended (“the AETR”), will apply, in place of the EU Regulations, after exit day. The AETR is a United Nations Economic Commission for Europe (UNECE) Agreement and the UK, the 27 EU Member States, and a further 21 countries (including EEA Member States Norway and Lichtenstein, but not Iceland), are contracting parties to it. As the EU Regulations and the AETR contain the same rules, international road transport operations will be subject to the same drivers’ hours and tachographs requirements from exit day as before exit day. Part 2 of the draft Regulations, which comes into force 22 days after the draft Regulations are made, amends existing legislation to fully implement the existing provisions of the EU Regulations and the AETR, including by creating three new offences, amending two existing offences and making various other consequential amendments. They’ll then release your vehicle once any other outstanding issues have been resolved. You’ll receive an email or text receipt confirming payment. This means you’ll be able to move off quicker. 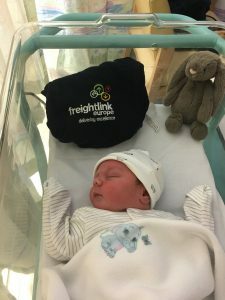 Congratulations to Freightlink Europe Transport Manager Tom Peterson on the birth of his second son. Stanley Arthur was born on 10 September and weighed in at 9lb2. 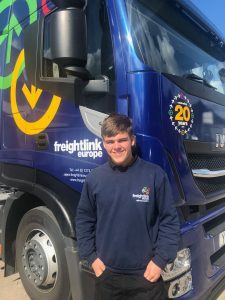 A warm welcome to Freightlink Europe’s new recruit, apprentice Joe Sykes. Joe has successfully completed his first week and is a valued addition to our team. Freightlink Europe is supporting the government apprentice initiative. Why not say hello to Joe when you next call? Congratulations to our driver Michelle for passing her Class 1 first time. 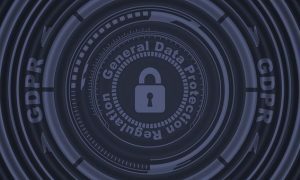 On 28 May 2018 General Data Protection Regulations came in to force. Companies are required to ensure the privacy of their employees and any personal data which they may process. This may include telephone numbers, e-mail addresses, name and contact details, bank details etc. 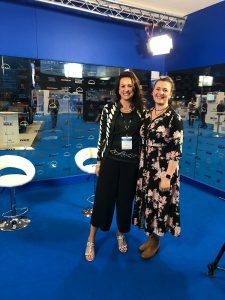 On 16 May 2019 Microlise held its annual transport conference and awards attended by over 1000 delegates. 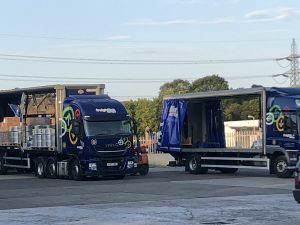 It was once again hosted by Quentin Wilson and included a host of speakers from throughout the industry speaking on subjects such as vehicle emissions and clean air zones, preventing HGV related terrorism, the rise of electric vehicles, platooning and the Brexet debate. Lesley O’Brien held a workshop creating a case for diversity and inclusion in the workplace, arguing that every effort to address the skills shortage and attract people to our industry would be pointless if the transport industry failed to embrace a more diverse and inclusive workforce which was representative of the community in which we all live. Lesley will be speaking again at a She’s RHA event being hosted by Autotrader in Manchester on 26 June. The event is for both men and women, so please come along. Congratulations to our Transport Manager Tom Peterson for completing his half marathon, raising funds for Martins House Hospice. Tom was in the top 5% of fundraisers raising over £1200. Congratulations to Lesley O’Brien for getting to the finals of the FTA Everywoman in Transport and Logistics Awards 2018, category Above and Beyond. 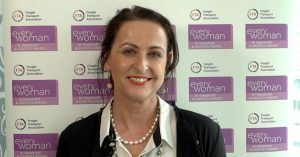 Results to be announced on 14 June at a luncheon at the London Marriot Hotel, Grosvenor Square – fingers crossedCongratulations to Lesley O’Brien for getting to the finals of the FTA Everywoman in Transport and Logistics Awards 2018, category Above and Beyond. Results to be announced on 14 June at a luncheon at the London Marriot Hotel, Grosvenor Square – fingers crossed. 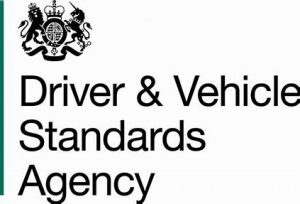 The DVSA has issued its new HGV inspection manual, detailing guidelines to be followed by vehicle inspectors. The new guidelines come into force from 20 May 2018. 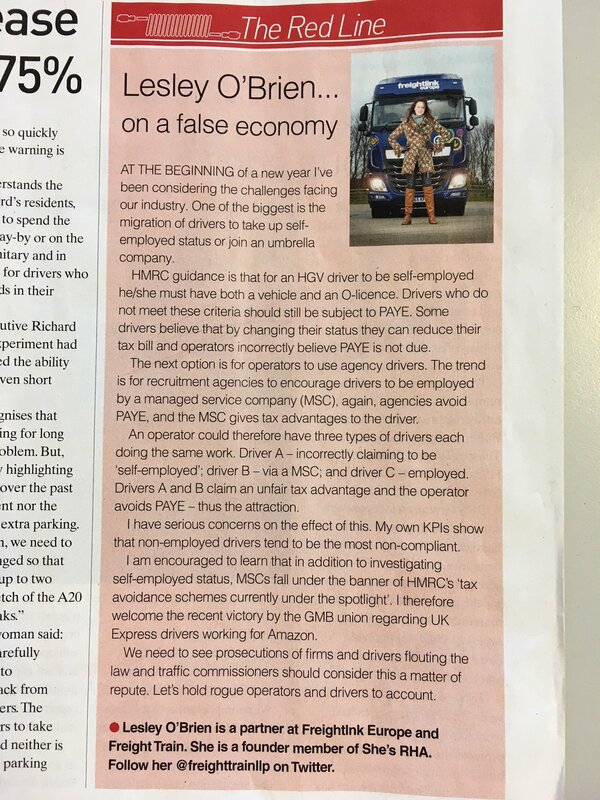 It is now 2 years since Lesley launched She’s RHA campaign on behalf of the RHA (Road Haulage Association) to improve the gender imbalance in transport by supporting, empowering and encouraging women both from within our industry and from the wider community. 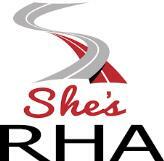 The scope of She’s RHA has now extended and our focus is on making our industry more inclusive and diverse. Lesley will be discussing the benefits of a diverse workforce at this years’ Microlise Conference on 16 May 2018. She would love you to come along and say hello. 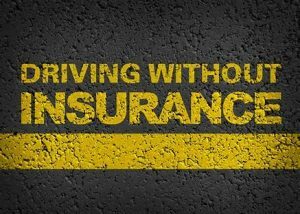 As from 5 March 2018 DVSA are able to issue graduated fixed penalties for any infringement within the last 28 days, to a maximum of 5 drivers’ hours offences, which could mean a maximum fine of £1500 for the driver. 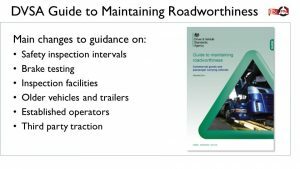 Transport operators however need to remember that they have an obligation to advise the traffic commissioner within 28 days of any such fine. 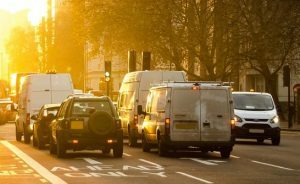 With the risk of drivers receiving more fines, is there a risk that more operators being called to public inquiry? 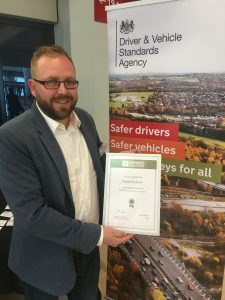 On 24 May 2018 at the CV Show DVSA officially launched the Earned Recognition Standard. . Head of DVSA Gareth Llewellyn thanked operators for working with DVSA to make the launch possible. Freightlink Europe sister company, Freight Train, is available to work with operators wishing to achieve the standard. 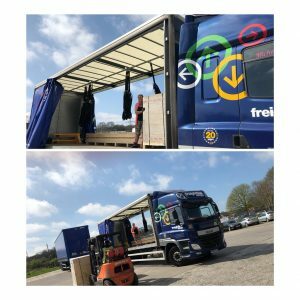 Like many companies, we at Freightlink Europe are busy putting together our GDPR policies and procedures – quite a daunting task! The sending of a newsletter is a quick and easy way for us to keep in contact with our clients. We want to keep you up to date with not only what we are doing, but what is happening within our industry. As part of our preparation, we shall be cleansing our database and only sending our newsletter to individuals with company e-mail addresses. Should you no longer wish to receive our news, then please unsubscribe. We will be sad to see you go.